Careful use of the right styles and designs for your shop blinds will create the perfect shop front for your premises. We have a huge range of fantastic designs available and all are at incredible prices. SBI Awnings aim to be the first choice for all your shop blinds. 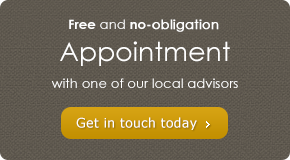 London based premises ensures a fast service and we are always available for help and advice. Recently we have found ourselves supplying and installing a large number of Shop Blinds London and have discovered some fantastic designs at highly competitive prices. Providing variety to our customers is something we take very seriously as we feel that this is the only way you will find the right styles. You probably recognise the importance of how you sell your shop from the outside and the importance of attracting passing trade. Shop blinds show your premises to be professional and attractive to all potential customers, also creating a sheltered zone on the street that draws further potential customers in. However, shop blinds also help people already inside the shop by helping you maintain a steady temperature and control the environment within your shop. To discuss your requirements, go through our detailed portfolio or arrange measuring up and a quotation, please call SBI Awnings today and speak to a member of our team. We are friendly and professional and look forward to being able to help.